Arlington Frontier Days July Fourth - Pedal, Paddle, Puff Triathlon, 8 a.m. Friday; carnival games, food, noon-4 p.m., Legion Park; Kiddies Parade, 4:30 p.m.; Grand Parade, 5 p.m., Olympic Avenue; fireworks display, 9 p.m., Arlington (360-403-3448 or www.arlingtonwa.gov). Auburn Fourth of July Festival - Entertainment, inflatable rides, vendors, car show, petting zoo, preschool playground, 11 a.m.-4 p.m. Friday; kids’ bike parade, noon, Les Gove Park, 910 Ninth St. S.E., Auburn; free, fees for some activities (www.auburnwa.gov). Bellevue Collection Family Fourth - Family Fun Zone, food vendors, entertainment, games, 2-9 p.m. Friday; presentation of the colors, 9 p.m.; Bellevue Youth Symphony Orchestra performance, 9:30-10:30 p.m.; fireworks show, 10:05 p.m. Bellevue Downtown Park, Bellevue; free parking at Bellevue City Hall visitors lot, 450 110th Ave. N.E., and after 6 p.m. at Bellevue Square, Lincoln Square and Bellevue Place (bellevue downtown.com? ). Bothell Freedom Festival - Pancake breakfast, 8:30-10:30 a.m., Fire Station, 10726 Beardslee Blvd., free; children’s parade, 11:15 a.m., Main Street from 103rd Avenue; “Protecting Our Freedom-Recognizing Those Who Serve” grand parade, noon Friday, Main Street and Bothell Way, Bothell (www.ci.bothell.wa.us). Burien Fourth of July Parade - Firefighters, drill teams, marching bands, antique cars, Chinese dragon, 3 p.m. Friday, route follows Ambaum Boulevard Southwest from Southwest 150th Street to Southwest 153rd Street, north on Second Avenue Southwest, then west on Southwest 152nd Street, Burien (b-townblog.com). Bainbridge Grand Old Fourth of July - Pancake breakfast, 7 a.m. Friday, street fair, 9 a.m.-5 p.m., classic car show, 9 a.m.-1 p.m.; beer and wine garden, music, kids’ zone activities, 11 a.m.-5 p.m.; parade, 1 p.m., fireworks at dusk, 395 Winslow Way E., Bainbridge (206-842-3700 or www.bainbridgechamber.com?). Bremerton 4th of July. View from Bremerton and Port Orchard waterfronts. Capital Hill Independence Day with music, games and activities. Carnation 4th of July with Kiddie and Grand Parade, Main Street entertainment and endor village. Independence Day, Darrington - Parade with local firefighter heroes, horses, noon Friday; street fair; fireworks show at dusk, Darrington (www.darringtonwatourism.com ). DuPont Fourth Fest - Entertainment including British Export Beatles tribute band, vendors, 11 a.m.-3 p.m. Friday; Duck Race to benefit Parks and Recreation, 1 p.m., $5; Clock Tower Park, 1408 Thompson Circle, DuPont, Pierce County (253-912-5245 or www.ci.dupont.wa.us? ). 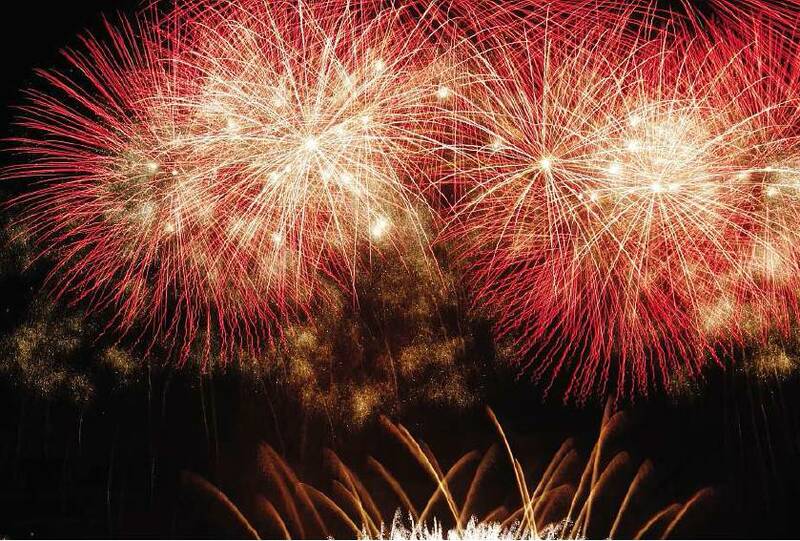 Fireworks over Des Moines - Food vendors, beer/wine garden, 5-11 p.m. Friday; concert, 6 p.m.; fireworks show 10:15 p.m., Des Moines Marina, 22506 Marine View Drive S., Des Moines (destinationdesmoines.org). An Edmonds Kind of Fourth - Children’s Parade, 11:30 a.m., main parade, noon; vendors, entertainment, 7:30 p.m.; fireworks, 10 p.m. Friday, Edmonds (www.edmondswa.com/events/fourthof-july.html? ). 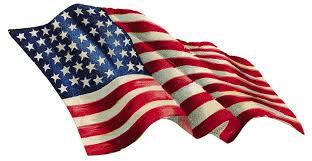 July Fourth Colors of Everett - Colors of Freedom parade, 11 a.m., Colby and Wetmore avenues between Wall and 26th streets; festival with kids’ activities, music, food vendors, fireworks show, 1-11 p.m. Friday, Legion Memorial Park, 145 Alverson Blvd., Everett (www.everettwa.org). Enumclaw Stars & Stripes Celebration - Star Spangled Breakfast, 8-11 a.m.; parade, noon; music and beer garden, 1 p.m., downtown Enumclaw; fireworks, 9:45 p.m. Friday, Southwood Soccer Fields, Enumclaw (www.cityofenumclaw.net). Federal Way Red, White and Blues Festival - Performances, kids’ activities, food vendors, 4 p.m. Friday; Kids’ Parade, 7 p.m., fireworks show, 10:15 p.m., Celebration Park, 1095 S. 324th St., Federal Way; park opens 3 p.m., parking $7, no pets (www.ci.federalway.wa.us). Issaquah Down Home Fourth of July - Kids ’n’ Pets Parade, 11 a.m., register 10 a.m. online, or at Visitors Information Center, 155 N.W. Gilman Blvd., Issaquah; pony rides, bouncy houses, games, races, Slug Speed Race and Beauty Pageant (bring your own slug), pie-eating contest, 11 a.m.-2 p.m. Friday, Veterans Memorial Field, 120 Second Ave. N.E., Issaquah (www.downhome4th.org). Kent Fourth of July Splash - Entertainment, noon-9:30 p.m. Friday; food vendors, bouncy houses, toy-boat building, games, noon-5 p.m.; fireworks display, 10 p.m., Lake Meridian Park, 14800 S.E. 272nd St., Kent; parking and shuttle-bus service from Kent Fire Station, Kentwood High School, Meridian Elementary School (kentwa.gov/arts/splash). Kenmore Fireworks Show - Music and other activities, 8 p.m. Friday, fireworks show, 10 p.m., Log Boom Park, Northeast 175th Street and 61st Avenue Northeast, Kenmore (www.cityofkenmore.com/events? ). Celebrate Kirkland Fourth of July Celebration - Children’s parade decorating events, 10 a.m., Marina Park Pavilion; children’s walking parade, 11:30 a.m., downtown parade, noon, Market and Central streets; food vendors, 1-10:30 p.m.; music in the park, 5-10 p.m.; fireworks display, 10:15 p.m. Friday, Marina Park, 25 Lake Shore Plaza, Kirkland (www.celebratekirkland.org? ). City of Puyallup - Meeker Mansion July Fourth Family Social & Puyallup Community Band Concert - Family games, 2 p.m.; Puyallup Community Band holiday concert, snack shack, 3 p.m. Friday, Meeker Mansion, 312 Spring St., Puyallup; free (253-848-1770 or www.meekermansion.org? ). Fourth Celebration at the Lake, Newcastle - Food vendors, 6-8 p.m. Friday; band performance, 8-10 p.m., fireworks display, 10 p.m., Lake Boren Park, Southeast 84th Avenue and Coal Creek Parkway Southeast, Newcastle (425-649-4444 or www.ci.newcastle.wa.us? ). Oak Harbor Old Fashioned Fourth with carnival, vendor market and entertainment. Renton Fabulous Fourth of July - Children’s activities, noon-8 p.m., entertainment, 1:30-9:30 p.m. Friday; fireworks show, 10 p.m., Gene Coulon Memorial Beach Park, 1201 Lake Washington Blvd., Renton (rentonwa.gov/living/). Fourth on the Plateau, Sammamish - Entertainment, kids’ activities, food vendors, fireworks show, 6-11 p.m. Friday, Sammamish Commons, 801 228th Ave. S.E., Sammamish (www.sammamish.us/events). Seafair Summer Fourth - Games, entertainment, food vendors, contests, beer garden, noon-11 p.m.; Seafair Pirates arrive, 5 p.m.; Seafair Clowns arrive, 6 p.m.; fireworks show set to music, 10 p.m. Friday, Gas Works Park, 2101 N. Northlake Way, Seattle; reserved seating (if still available) $20-$25; and, at a new venue this year: entertainment, military-vehicle display, beer garden, food vendors, noon-10 p.m.; Seafair Clowns arrive, 3 p.m.; Seafair Pirates arrive, 6 p.m., South Lake Union Park, 860 Terry Ave. N., Seattle; no tents, barbecues, pets, glass bottles, marijuana, alcohol, weapons; free; reserved seating (if still available) $20-$25 (seafair.com). Steilacoom Grand Old Fourth - Fun run, 9 a.m. Friday; street fair, beer garden, entertainment, 10 a.m. through the day; parade, 1 p.m.; tribal-museum tour, 3 p.m., $5/person; family street dance, 7-10 p.m.; fireworks, 10:30 p.m., Steilacoom Town Hall, 1715 Lafayette St., Steilacoom; donations welcome (www.steilacoom.org/4july.html? ). Sea Tac Family Fourth of July - Entertainment, 1-9:45 p.m.; fireworks show, 10:15 p.m.; also, carnival, 11 a.m.-10:30 p.m. Friday, 11 a.m.-11 p.m. Saturday, noon-10 p.m. Sunday, $19/ day; Angle Lake Park, 19408 International Blvd., SeaTac (206-973-4680 or ci.seatac.wa.us/index.aspx?page=704). Tacoma Freedom Fair - Air show over Commencement Bay, 1:30-3:30 p.m. Friday; BMX bike shows, noon-7:30 p.m.; Blues Stage entertainment, 3:30-9:30 p.m.; drum circle, 2-8 p.m.; food vendors and activities all day; fireworks extravaganza, 10:10 p.m., Marine Park, 3931 Ruston Way, Tacoma; free, $2-$15 donation suggested (253-507-9357 or www.freedomfair.com? ). Tukwila Family 4th at the Fort. Entertainment stage, food vendors, fireworks siplay at dust. Vashon 4th of July at dusk. Wherever your destination takes you - have a safe holiday.